Let's face it, you are on my website because there’s a problem between you and food, or you and your weight, or you and your body image – or you and all of them! It is incredibly difficult to find the right path to contentment with your body and freedom from guilt when it comes to food. There is SO MUCH information out there! Eat this, don’t eat that, take this supplement, follow this regime, download this app….. it is no wonder you are overwhelmed and stuck in the same place of “Today I’m going to eat healthily and stick to it until I’ve lost ‘the weight’ “, which quickly moves to “ah crap – I’ve eaten a muffin….. I’ll start again tomorrow...” and then the wheels fall off the bus as we say here. If this is a snapshot of your average Monday, then you are in the right place. Or eating too much may not be the problem, perhaps not eating enough is what you struggle with - and that's a whole other area of distress because it causes you to feel physically, emotionally and mentally stressed. But no matter how logically you KNOW what you are doing is not working, you still cannot seem to stop. Whatever you are struggling with, whatever need and are ready for in terms of help and support, we have it here. I’m Emma Murphy, and for the past ten years I’ve worked almost exclusively with adults who struggle with Food, Body Image and/or Disordered Eating. This is my area of speciality, and I am absolutely passionate about helping people like YOU to rediscover their mojo, and let go all of the guilt and frustration you feel when it comes to food and your body shape/size. I’ve developed several online programs too, and I am now training other therapists in my 'Eating Freely' way of working, so we can support even more adults in breaking free from their unhelpful, unhealthy relationship with food, and finally feel FREE around food, forever. Professionally I’m an Accredited, experienced Psychotherapist with advanced specialist training in Eating Disorders, and I’ve won an award for my online programs - so you can be confident that you are in a safe, professional pair of hands. 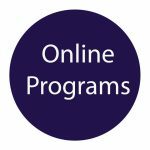 If you want help but you are not yet sure you could really open up to a Therapist then you can choose from two self-directed online programs that I've developed out of my professional experience of 10 years working with clients JUST LIKE YOU. You work through them at your own pace in the comfort of your own home, but you have the added bonus of joining my Private Facebook group for additional support from both me, and others on the programs. I hang out in there personally, answer any questions and post additional content and FB Lives there too. It's all part of the program. For anyone stuck in the Diet/Crash/Binge/Guilt/Diet cycle. Learn how to break free from your food rules, food guilt, and fooling yourself that 'the next diet' will be the one that works. Let me tell you, it won't. Einstein's definition of madness is doing the same thing over and over again and expecting a different result. You don't need a new diet, you need a new MINDSET. When you understand how your BRAIN is sabotaging you, when you realise how beating yourself up ENCOURAGES bingeing (yes, it does), and when you have my practical toolkit of resources and supports available to you, 24/7 - then you'll see the changes you've longed for, but never achieved through dieting. For anyone struggling with an Eating Disorder - Binge Eating Disorder or Bulimia, or if you previously struggled with Anorexia and now find you are bingeing, then this is the program for you. As a specialist psychotherapist in disordered eating, this *award winning program will walk you through twelve sessions, alongside my 'virtual group', all of whom have struggled in the same way you have. *Social Entrepreneurs Ireland Elevator Award Winner 2012 for making Disordered Eating Support accessible and affordable, online. Hi Emma, I hope you are keeping well. I just wanted to drop you a quick line as I'm currently in sunny Spain, in a bikini, at 27 weeks pregnant...and couldn't be happier. Much of that happiness I owe to you. I love being pregnant and watching my tummy grow. I can't wait to be a mum ! Thanks for being such a big part of my journey thus far, I am very grateful for you turning on the light. Emma, thank you so much for your confidence, support and hard work over the past couple of years. I am so pleased I made the decision to contact you and can definitely see a lot of progression when I look back to where I started…thank you again, you have been amazing. Your honesty and constant guidance has been just what I needed. I am endlessly grateful to you and wish you every happiness and success.